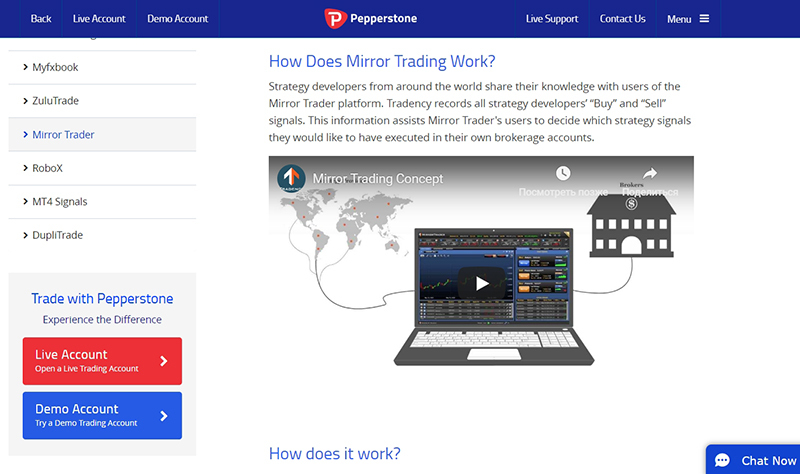 Pepperstone Group is a forex and CFD broker that provides sufficiently advanced trading solutions for professional traders, but at the same time is fairly simple for Forex novices. Pepperstone was founded in 2010 in Melbourne, Australia. 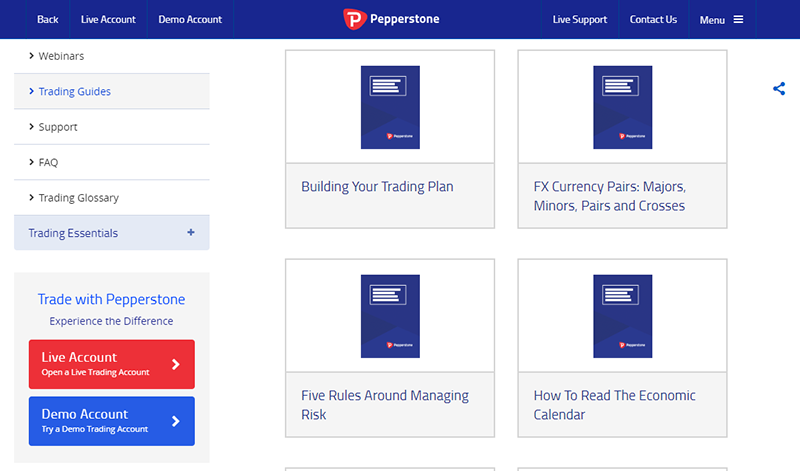 Pepperstone offers direct access to several liquidity areas in foreign exchange markets without broker interference. It is worth noting that Pepperstone is directly connected to various providers in Equinix NY4, which ensures the highest possible speed of transition from any part of the world. The company provides its customers with several VPS providers: CNS VPS, Beeks FX and Traders Colo VPS. VPS hosting allows the trader to run automated algorithmic strategies / trading experts 24/7. The EDGE Forex technological environment corresponds to the highest performance in of Forex trading. EDGE technology is designed to provide the maximum speed with minimum spreads. EDGE is equipped with Pepperstone Price Improvement (PPI) intelligent technology, which ensures optimal pricing, and automatically puts your order on the market at the best price. Market Depth includes a book of orders in the Forex market and liquidity levels (liquidity pool). The algorithm calculates the best price on the market and provides it to you without requotes. EDGE works on the classic MT4 trading platform. 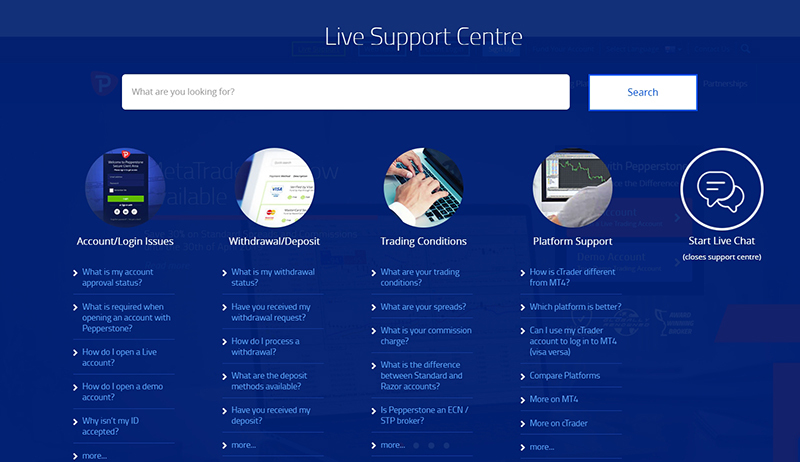 Moreover, the company offers trading platform MetaTrader 5 and cTrader as well. For additional information look up in the corresponding section of your personal account on the Pepperstone broker website. The Pepperstone dealing center has yet to become widely known in Russia, but lately it has put in an appearance in the top positions of various ratings on specialized portals. On their website you can find many true and fair reviews of real present or past dealings of the Pepperstone DC with its Clients. Unfortunately, they mainly relate to a significant deterioration of the Pepperstone network in recent years. The traders accuse the Company of deliberately manipulating the terminal to drain customer deposits, breaching trade agreements, etc. The first reports of delays in payments to customers of Pepperstone broker appeared in October, 2014 and are now a frequent complaint. I cannot spend much time on trading, so I need an instant execution. My orders should be placed on the spot, and this platform offers such a fast good working interface I really admire. I need to make only one click, and it’s done! At the same time, the functionality is veeerrry nice, and an experienced trader can use it to the full. I am very glad that I found this broker on the advice of an experienced user. At first, I was frightened by the complex interface of the site, but then I realized that everything is simple and easy !!! Counselors sometimes help, everything turns out so far !!! !